In life, it’s important to learn to accept the things you can’t change because there’s nothing more tiring, draining and frustrating than trying to change what just can’t be changed. Jumia Travel, the leading online travel agency shares 8 ways to learn to accept the things you can’t change. This is a very important step. Trying to fight change is like wrestling with a brick wall. It’s useless. You need to first accept that things have changed before you can start thinking of how to deal with it. Once change is experienced, even if you’re able to successfully fight the change, things will never fully be what they once were. You need to accept this and the feelings that come with it, and then you have to deal with it. Lying to yourself or deluding yourself into thinking that things can be exactly as they once were, is ill-advised and frankly unhealthy. Learn to accept it, deal with it and move on. Don’t dwell on why of all the people in the world, this change had to happen to you. You need to realize that change happens to everyone and avoid taking on a victim mindset. You’re not the only one to experience or suffer through change. Others, many others, have experienced it and are still living. 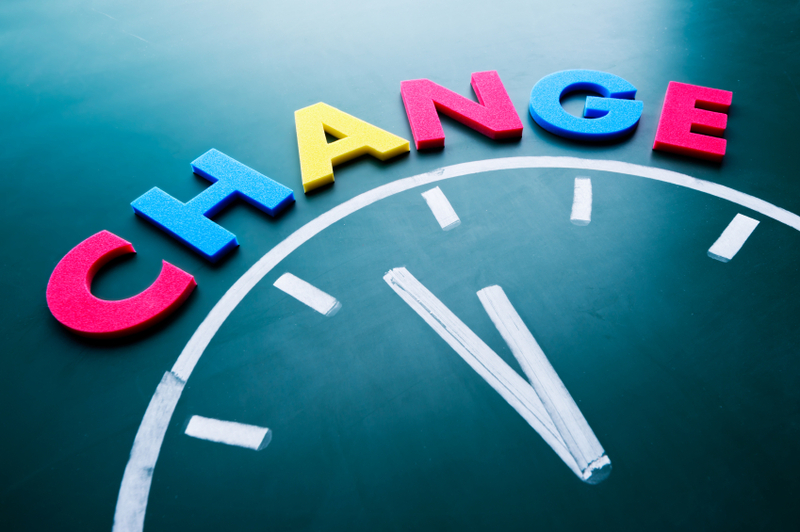 Change is a part of life that happens to everyone, and yes it might monumentally mess with things in your life, but it also brings new opportunities, lessons and experiences that can be beneficial to you and others around you. It’s easier to deal with something tangible as opposed to something abstract and unclear. Ask yourself, search within yourself and try to answer this question - “What is it about this change that affects me so much?” If it’s the death of a loved one, could it be because you fear being lonely? Or could it be that you’ll miss the person’s guidance or companionship? Get to the bottom of the matter and understand what about the change affects you so much. When you know what about the change unsettles you, it will be easier for you to find ways to fill in the gap and adapt to the new reality. If it was a mother that was lost, think of someone in your life that you consider motherly and wise. Please this is not in any way meant to replace your mother, but to only fill in the gap. If you are the kind of person that has always thrived with motherly advice and guidance, losing that all of a sudden can be extremely difficult and unhealthy for you. It’ll be easier on you if you have someone to keep you grounded. If you are religious, turning to God can be a great help, especially if you have no one. Moving on is a process that, in truth, never ends. Once change has occurred, especially if it’s a sudden change, from that day onward you are and will keep moving on. Don’t expect that after a long while you will no longer feel anything. You will very much still feel things but they will not be as profound as they once were because over time you’ve become better at dealing with it. At the early stages of change and even during the moving on process, it is important to occasionally confide in someone you can trust about your feelings and struggles. It really helps more than you can imagine and is much better than trying to deal with it alone. Even if the person might not be able to fully understand your emotions, just being able to say it out loud or express it someone might just help beyond what you can imagine. Happiness is a choice. Please try not to allow circumstances affect you so much that you actually let yourself feel some kind of guilt or unfairness about letting yourself be happy. Joy and happiness are what gives strength to deal with anything, no matter how terrible or messed up it is. Be happy not because you are happy at what happened, but because your body needs it and your mind needs it; be happy because life still continues so please give yourself permission to live.